This year promises to be an exciting one for fashion in Ghana. The KNUST fashion week is slated for February and will be a platform to showcase some amazing African creativity. Keep your fingers crossed as i would bring you a list of designers on board. "African fashion industry keeps evolving in many ways. The emergence of fantastic new fashion and Afrocentric aesthetic design in mind. We can boastfully hope and say with conviction that African fashion has a bright future. 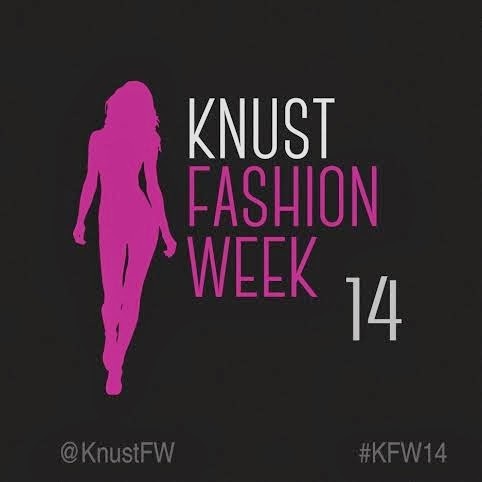 The KNUST fashion week is a brand that advocates for this movement. The annual fashion week which is always held at the beginning of the year has been consistent over the past two years and has developed from a simple university fashion show to a nationwide fashion festival. The KNUST fashion week 2014 however promises to be full of excitement and a bold declaration of post-modern African statement in fashion. With the right mechanism in place such as the well organised fashion runway shows, fashion parties, celebrity appearances, industry networking, educational seminars, pre and post brand promotion for designers,the fashion week promises to be its best says the executive producer of the show and director of Ayo A models Amos Kobina Benyarko. The KNUST fashion week 2014 production is being supported by Phoenix group and creatively aided by Sygil Media. And major thanks to our online portal Fashionghana.com for supporting this vision. The fashion week is set to be launched on 31st January 2014,as the week is slated for somewhere in February this year."